In case you missed it, the FAFSA has changed! Instead of waiting until January, you can now start filling it out in October each year. If your child is in senior year of high school (or in college), don't delay! Now is the time to get to it! 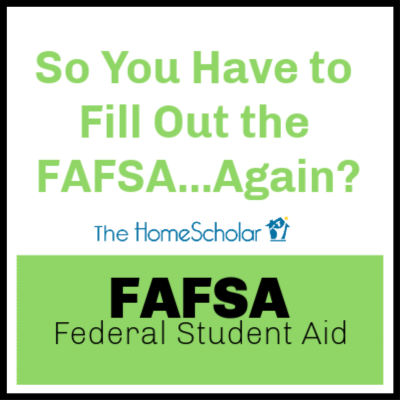 Have you filled out the FAFSA yet this year? What did you think? Please share! Each year, the government doles out 150 billion dollars in education grants. Almost everyone can get some kind of aid, whether it's in the form of grants, loans, or work-study, and whether it's from the government or from schools. All of this is determined by your answers to the FAFSA, the Free Application for Federal Student Aid. The FAFSA applies to both undergraduate and graduate studies. No matter how wealthy your family is, you should fill out the application. This infographic from Personal Income shows some basic facts about the FAFSA. The basic calculation is: How much will the cost of your education be, and how much can you and your family pay? Subtract the first number from the second, and you have the amount you're eligible for. The FAFSA must be filled out every year your student is in school. The earlier you fill it out, the better. Even though there's a lot of aid available, you'll have access to more aid if you complete it sooner. January 1st used to be the earliest you could apply, with the final date at the end of June. But starting for the 2017-18 school year, you can begin three months earlier, on October 1st. Even if your family hasn't yet filed taxes when you apply, you can use estimated tax numbers to avoid delay. There's a myth out there that the FAFSA provides only grants that do not have to be paid back. This isn't the case. 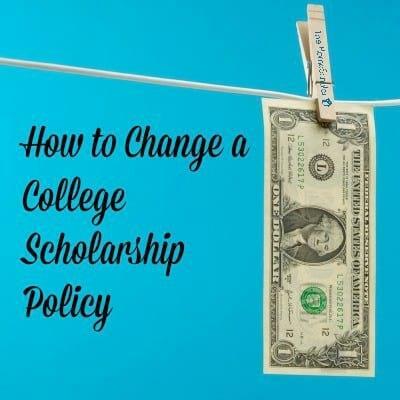 Eligibility for Perkins loans, Stafford loans, and work-study programs are all determined through filling out the application. Still, in 2014, about $2.9 billion in Pell Grant money went unclaimed. To start your application, visit the FAFSA government site. You also have the option of completing it over the phone, on paper, or hiring a fee-based service. 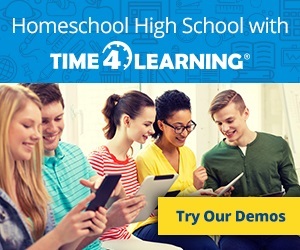 Though there are many questions, the Department of Education estimates that on average, it takes less than 21 minutes to complete. It may take you longer (it sure took me longer!) but it's well worth the time. 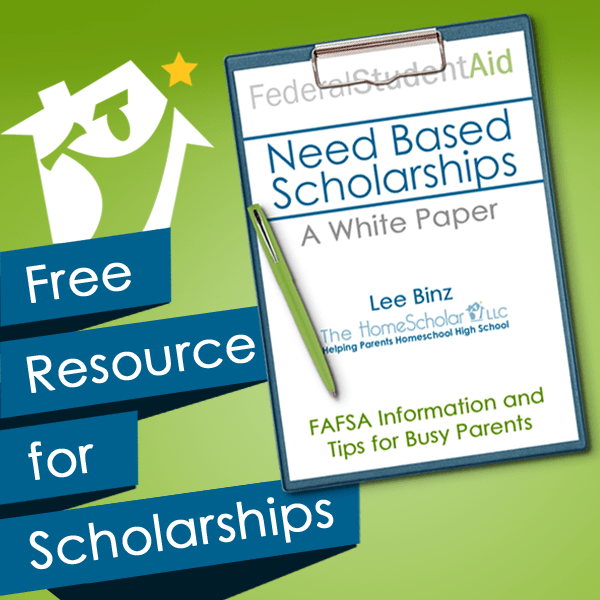 Free Application for Federal Student Aid (FAFSA) is trying to make life easier for you. 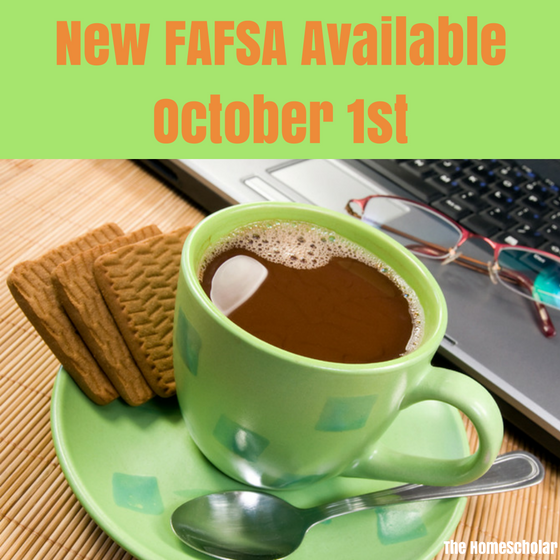 They will now allow you to begin filling out your FAFSA on October 1st of each year. 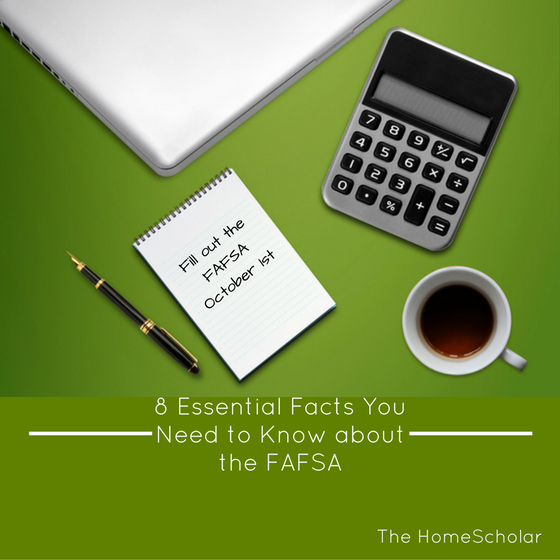 You will use the prior year's tax information, so there is no waiting around to collect all the tax info that you need to complete the FAFSA. You will get a more prompt financial award, so that you can learn about your need-based financial aid while you are applying to college. Earlier access to the FAFSA will help you know if you can afford college sooner in the year, relieving some stress, and allowing you to adjust your applications based on the financial aid you received. 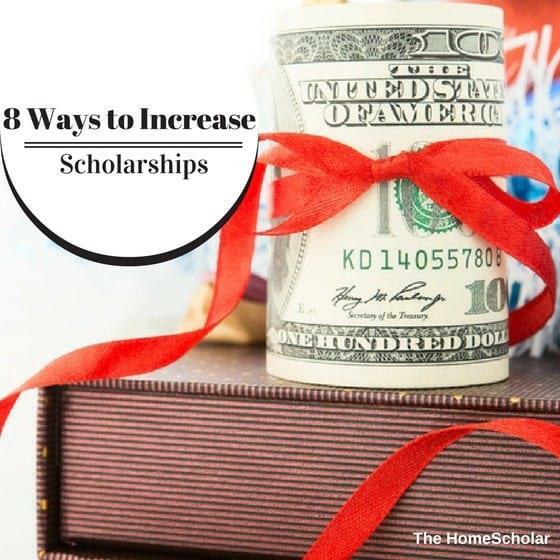 In the past, I've written a lot about the 3 waves of scholarships. 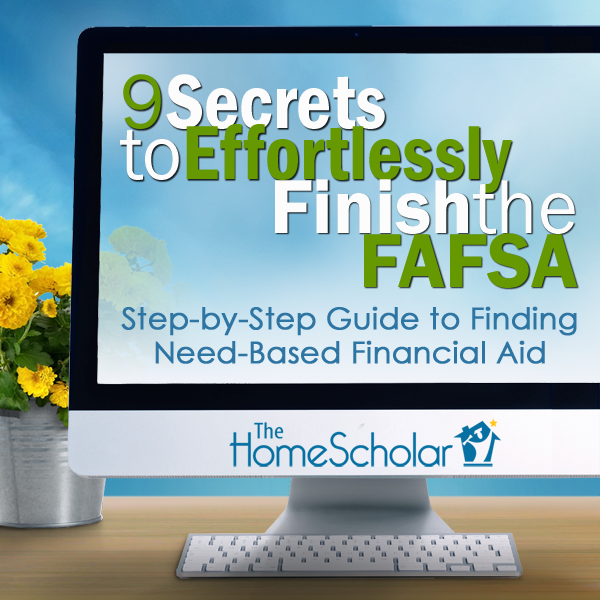 There will still be a pause between getting in and getting the final word on financial aid. With this new system, I hope you'll have fewer uncomfortable months, and a more prompt scholarship award! For more information, read more from the Department of Education. 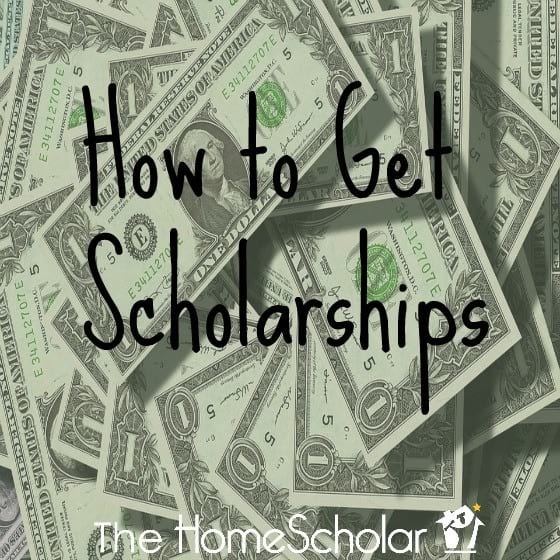 Get Your Free Ebook on "Finding a College"
My daughter received an $8,000 annual music scholarship and an annual $20,000 dean scholarship both for the 4 full years - $28,000 x 4!! Thank you very much! We are waiting for offers from other colleges to come in before our final decision. I wouldn’t have thought she would be selected for the dean scholarship, but with your admonishment, encouragement, and suggestions we were able to present a very professional transcript and comprehensive high school record. Thanks Lee – you did it again! 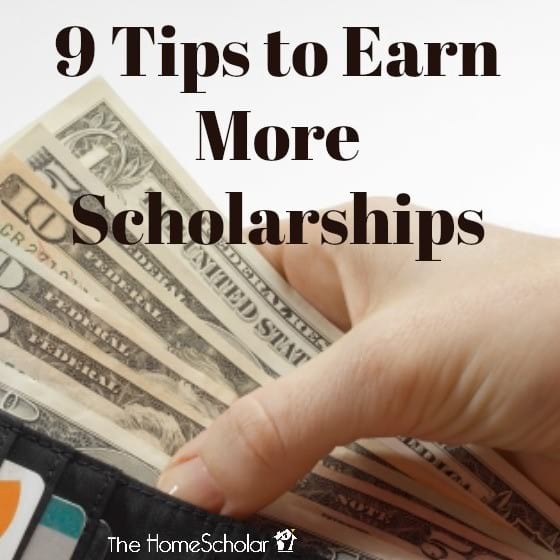 Second, here is admonishment, encouragement, and suggestions for YOU, so you can get a great scholarship for your child, too! 1. Professional-looking transcript with "Official" in the title. 2. Thorough course descriptions for every class. This should include a paragraph description of what you did, a list of what you used, and a description of how you evaluated each class, even if you didn't use any tests. 3. Reading list including books read for school, books read for fun, and summer reading. 4. Activity and award lists, with details about when, where, and how long each activity took place. 5. 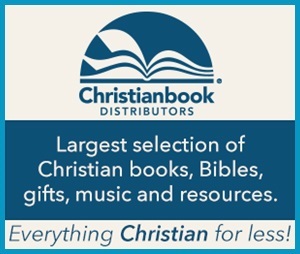 Any additional records required by your state homeschool law. You can see how those records may take a bit of time to create. While possible to write them in a week, it's unlikely to be easy, accurate, or successful with minimum effort. Instead, take the time to do the job right every single year. Create and update each piece of your comprehensive record every single year. 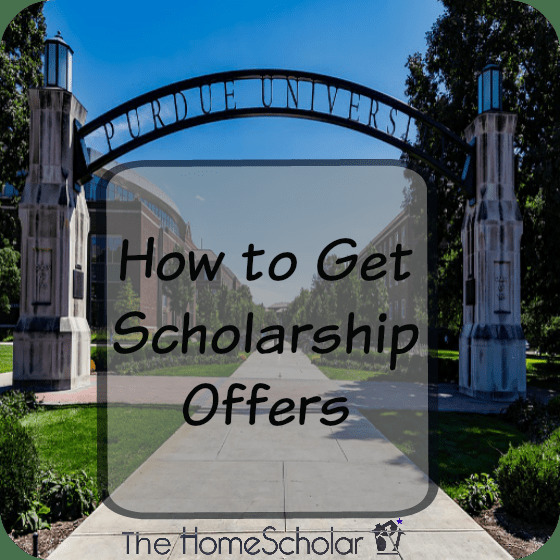 You'll be ready to submit it when the time comes, and will hopefully receive great results in both college admission and scholarships. Sometimes these records are needed for college applications, so they must be ready by September at the beginning of senior year at the latest. 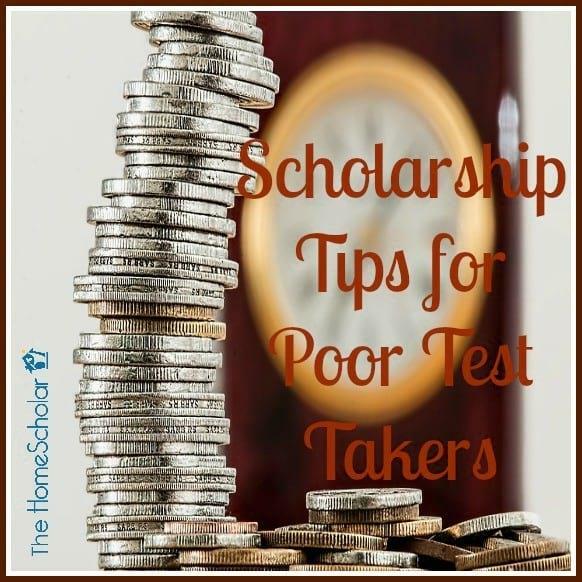 These records may be needed even earlier, for the National Merit Scholarship application or other important events. The only way to be sure you are ready is to be ready, with records prepared yearly. Sermon over! Admonishment - done! Now go, team, go! 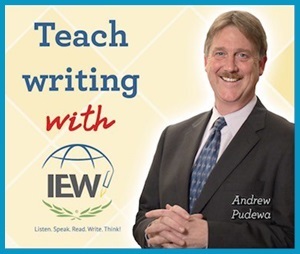 Get those course descriptions done! Jill just emailed me an update - check out the progress of her daughter's college admission and scholarships! So exciting! I wanted to give you an update on my daughter. She is going into nursing, and wants to be a medical missionary. She was accepted to her top 3 choices of colleges with no problem. 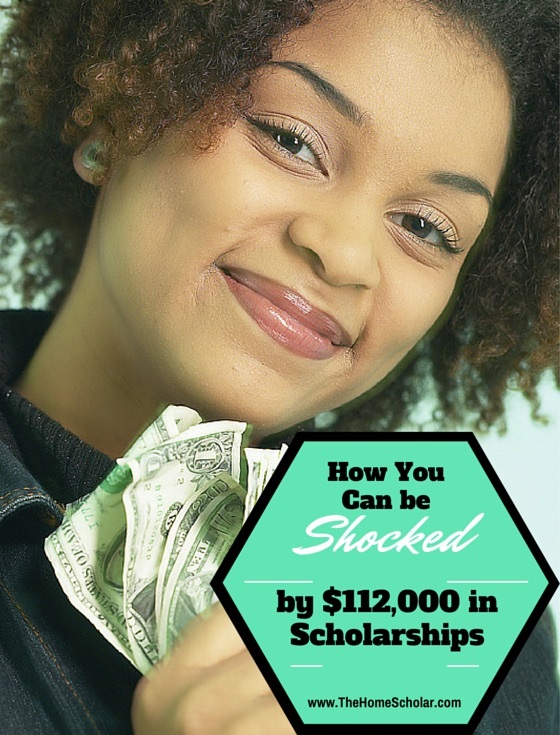 At two of the bigger private colleges, she received a $40K scholarship merit-based on her ACT score and her current GPA. WOOHOOO!!! 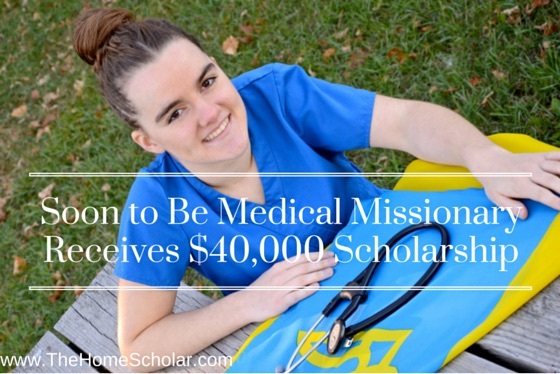 She has chosen a university that has a HUGE focus on missions throughout the campus, and especially in nursing. They are also rated #10 in the nation for their nursing program. We are very excited about it!! Her admissions counselor was very impressed with her and her comprehensive records. 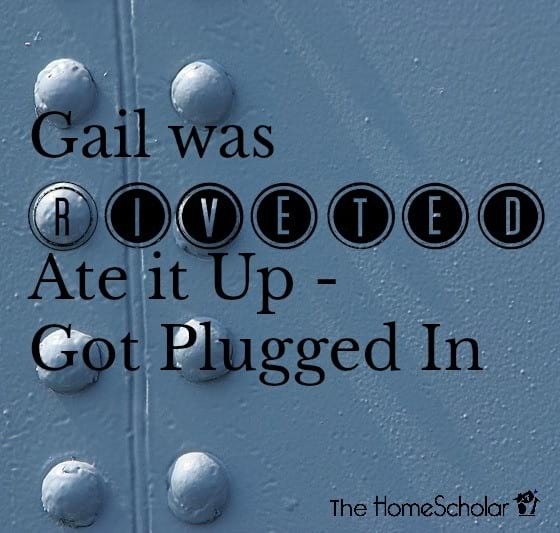 She has been plugging away at scholarship applications to earn her half credit for Essay Writing and of course to earn scholarships. She found a great one for an Alzheimer’s teen group raising awareness. She has a great perspective to share from working in a nursing home. So, we will keep on keepin’ on with the applications. I filed our FAFSA on Jan. 1st and will complete it this week as my husband has our taxes just about done. Senior portraits have been taken, and we have a graduation party planned! Thanks so much for your help! I have no idea where we would be without your help and guidance. I tell all of my homeschooling friends that have 8th graders about you! I don’t want them to spend the hours and hours and hours I spent in October getting all their children’s records up to date their senior year. I know you can help them! Plan ahead for success. 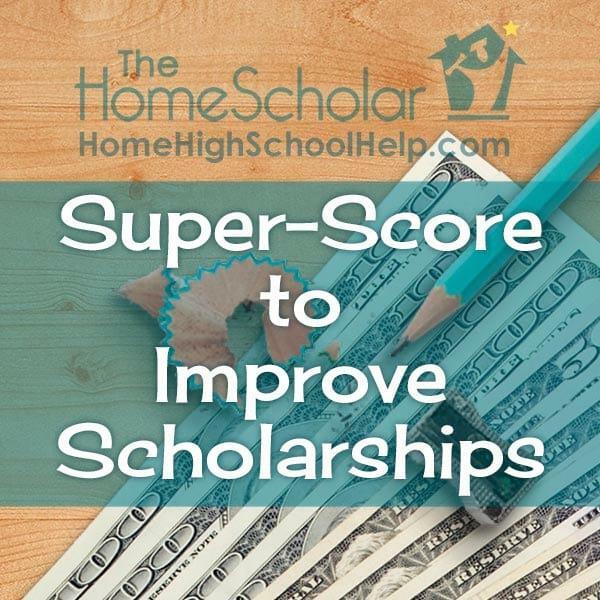 Take Jill's advice, and start EARLY so you learn about comprehensive homeschool records and the college admission and scholarships process, so you can be successful too! And look for Jill's daughter on the missionary field!